MobileMe is officially gone. For months, MobileMe users have been warned of its impending doom and Apple gave users the option to move their accounts to iCloud or to download photos and files. Although MobileMe is now gone, users can still move to iCloud or download files for a limited time. Users will have noticed that the MobileMe website now only shows a “MobileMe is closed” sign with links for moving accounts to iCloud, downloading from Gallery, or downloading from iDisk. MobileMe has been expected to shut down since Apple announced that it would be replaced by iCloud last June. 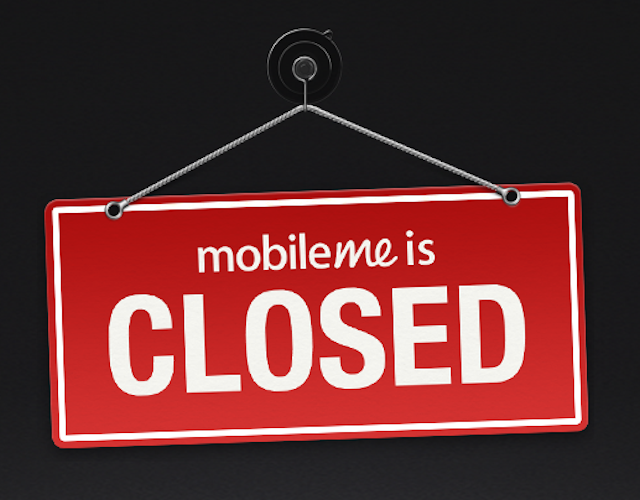 Early last month MobileMe users were sent a reminder informing users of the service’s shutdown. Apple has been trying to get MobileMe users to switch to iCloud by giving away free extended storage upgrades and has even given out free copes of OS X Snow Leopard to some users. In May, Apple published an FAQ telling customers that if they had already purchased 20GB of storage from MobileMe they would receive the same amount of storage in iCloud until September 30, 2012. Apple is definitely committed to iCloud. During last month’s WWDC in San Fransisco, the company announced that iCloud will allow Notes and Reminders syncing later this year and it will also have better integration with OS X Mountain Lion.